Please Note: We do not currently support installing the lightbox onto Wix due to how Wix handles iframes. While you can still add the lightbox, you may experience display issues across desktop/mobile. This documentation will show you how to take your promotion and set it up on Wix. 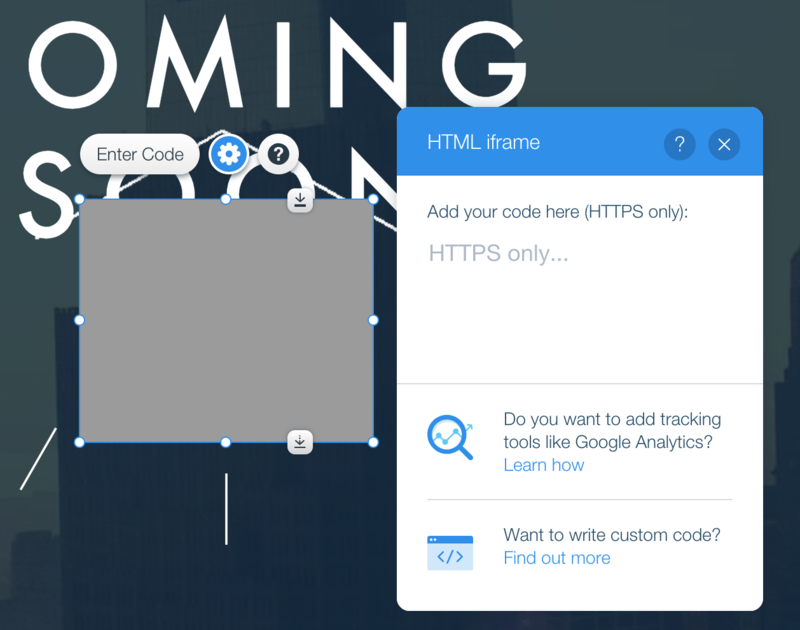 Within your Wix editor, go to +ADD > MORE > HTML iframe. Copy the code for your campaign from within ViralSweep. Next, click on the Enter Code button and paste in the ViralSweep code snippet. You may need to resize the HTML iframe box depending upon its size. Simply click and drag on any corner of the box to resize it in order to fit the ViralSweep entry form. Simply click save, and then preview, and you will see the ViralSweep form load on the page. Still having trouble with adding your campaign to Wix? Simply click the support or live chat icon to get in touch with us.